On a bright, peaceful day, siblings Nunnally and Lelouch Lamperouge take a moment to relax under a tree. When Nunnally asks him to tell her a story, Lelouch, who is unflinchingly resolute in doing his utmost for his sister, makes unique use of his Geass ability, breaking barriers to tell the most entertaining story he can. Awakening alone under the tree, the previously blind Nunnally finds that she can see again and immediately spots a strange rabbit that resembles Anya Alstreim, the Knight of Six. The sight of this rabbit sends Nunnally falling down a hole, leading her to a colorful wonderland. 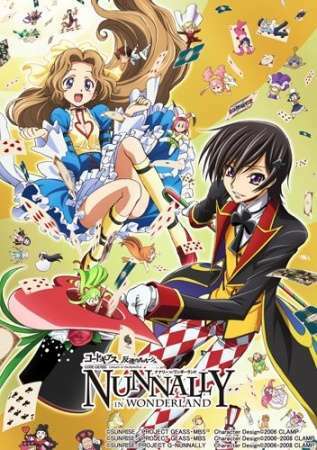 Narrated by Lelouch himself, Code Geass: Hangyaku no Lelouch - Nunnally in Wonderland follows the lost Nunnally as she searches for a way back home, meeting a slew of colorful, familiar characters along the way.